Biofortified sorghum benefits farmers not only in agriculture, but also ensures their children have access to essential nutrients, an expert said. The biofortified variety ICSR 14001. | Researchers. Amid concerns of rising carbon dioxide levels sapping nutrients from crops, “Parbhani Shakti”, India’s first biofortified sorghum variety with enhanced zinc and iron, offers hope in tackling undernutrition and preserving food value in the face of climate change. Sorghum (jowar) is an important drought-tolerant crop providing food, feed and fodder in the arid and semi arid tropics of the world. It is estimated that 500 million people in more than 30 countries depend on sorghum as a staple food. India’s millet basket includes sorghum, finger millet, pearl millet as well as “minor millets” such as little millet, kodo millet, barnyard millet, foxtail millet and proso millet. These grains are cultivated in resource poor agro-climatic regions such as rain-fed and less-fertile lands and mountainous tracts. Many of these areas, such as Maharashtra and Odisha, also have strong tribal population and sorghum is important for tackling malnutrition among them. More than two-thirds of the Indian population (around 500 million people) are affected by deficiencies in protein, micronutrients such as iron and zinc, and vitamin A. 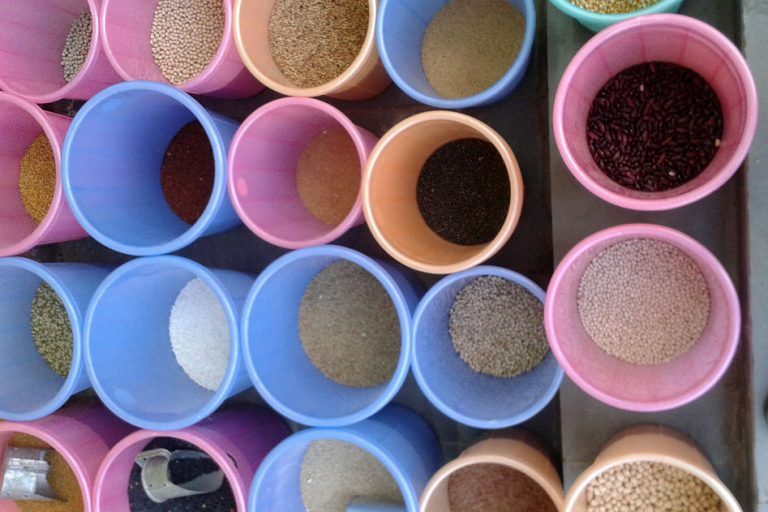 While sorghum has taken a backseat in India to the more remunerative non-native grains such as soybean, there has been resurgence in demand for the gluten-free, high fibre ancient cereal grain regionally in sub-Saharan Africa and South Asia. This has happened due to factors such as extreme climate variabilities and undernutrition, and also because smart foods with elevated levels of iron and fibre have come into vogue, experts assert. For instance, soft, fluffy jowar bhakris (flatbreads) slathered with ghee (clarified butter) are now finding their way into kitchens thanks to the “gluten-free” food fad. Buoyed by celebrity dieticians’ recommendations, Jowar dosa is gaining popularity both in kitchens as well as blogs. 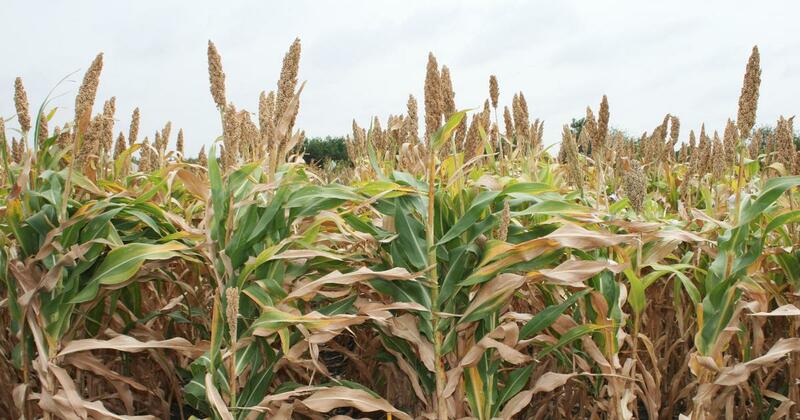 Now, breeders at International Crops Research Institute for the Semi-Arid-Tropics have helped boost the iron and zinc content of sorghum by tinkering with genes to develop the biofortified line that also has higher grain and fodder yields. International Crops Research Institute for the Semi-Arid-Tropics biofortified sorghum variety ICSR 14001, was released as “Parbhani Shakti” by Vasantrao Naik Marathwada Krishi Vidyapeeth Parbhani, Maharashtra, in May 2018 following multi-location trials in the state and extensive tests in farmers’ fields. Biofortification is the process of increasing the mineral and vitamin concentration in grains/edible plant parts through conventional breeding methods. “There is a global interest in biofortification to enhance levels of micronutrients to tackle the global burden of malnutrition and nutrition disparity. 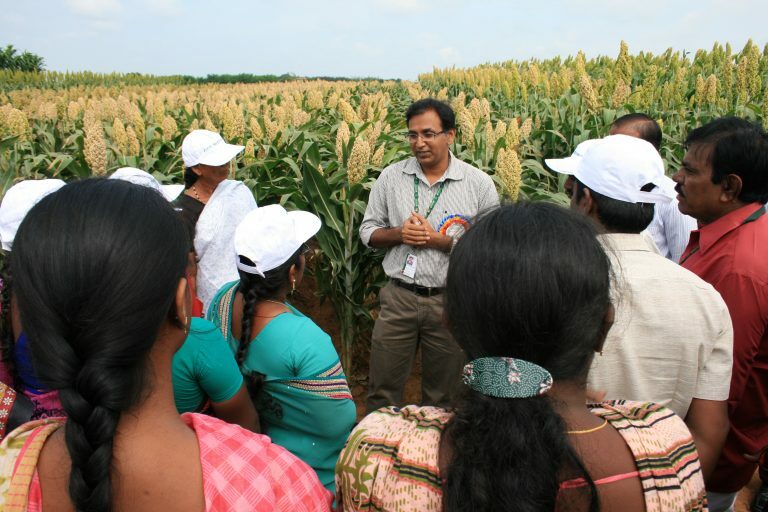 We began by looking at what is already present in sorghum so we could enhance iron and zinc levels in edible parts of the plant,” A. Ashok Kumar, principal scientist, sorghum breeding at International Crops Research Institute for the Semi-Arid-Tropics, told Mongabay-India. 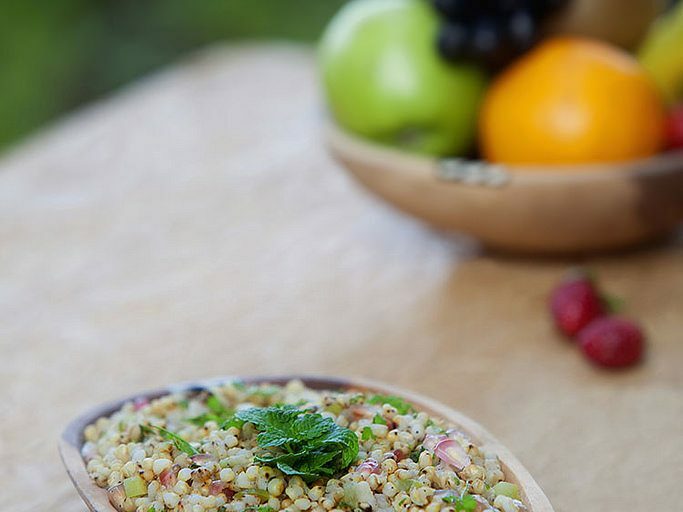 Impressive in its nutrient content, sorghum infuses a good dose of protein, iron, B vitamins and dietary fibre to recipes. The sweetish sorghum flour is low on glycemic index and high in starch so it is a boon for diabetics. It takes longer to digest and slows down the rate at which glucose is released into the bloodstream so it is beneficial for those dealing with blood sugar issues such as diabetes. “It also fills you up and prevents the blood sugar from wavering. But cultivars grown in India have low iron and zinc that is not enough have an impact on nutrition. So we identified lines that had significant iron and zinc,” Kumar said. The biofortified sorghum line with 50% higher iron and zinc than base level out-yielded all other varieties in the state multi-location trials in Maharashtra. The 1.6 to 1.8 metre high “Parbhani Shakti” with clusters of 6000 grains on each panicle, offers a zinc content of 25 to 32 ppm (base level 20 ppm) and iron elevated to 42 to 48 ppm (base level 30 ppm). Its protein content is 11.9% which is on higher side compared to 10 percent in most released cultivars. Plus, a low phytate content (4.3 mg/100 g) compared to average 7.4 in sorghum, means increased bioavailability of micronutrients. It is pegged as a rainy season variety (Kharif) but it can be grown in post-rainy (Rabi) and summer seasons. “The yield levels are higher (more than five tonnes per hectares) in post rainy and summer seasons with irrigation. When grown in summer season, it can tolerate higher temperatures (41 degree centigrade) at flowering and seed setting but the flowering may be delayed (80 days),” explained Ashok Kumar. This is the first wave of biofortified variety, said Ashok Kumar, noting that the next phase of cultivars are in the pipeline. “They have zinc concentration up to 45 to 50 ppm and will be released in next two to three years,” Ashok Kumar said. Shivaji P Mehtre, Officer Incharge, Sorghum Research Station at Vasantrao Naik Marathwada Krishi Vidyapeeth believes biofortified sorghum benefits farmers not just agriculturally but also ensures their children have access to essential nutrients. Green leaves and stalks are used as fodder for animals while the grains are used for food, consumed in the form of flat breads and porridges. “Farmers will benefit from the high grain yield that is more than ten percent, fodder yield is more than 15% and fodder quality is also very good. It has very good digestibility from animal point of view. Their children will also get the nutritional benefits,” Mehtre told Mongabay-India. 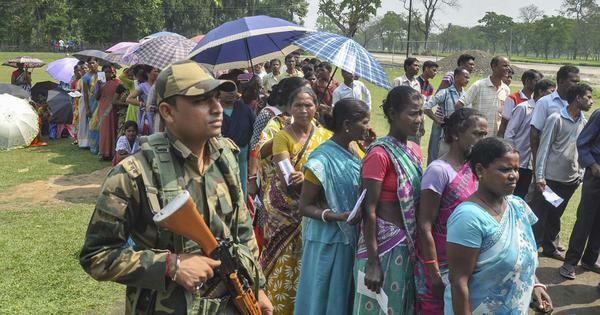 In 2016, taking cognisance of media reports, Ministry of Tribal Affairs advised the tribal development departments of governments of Maharashtra and Odisha to address the problem of malnutrition promptly in tribal areas. 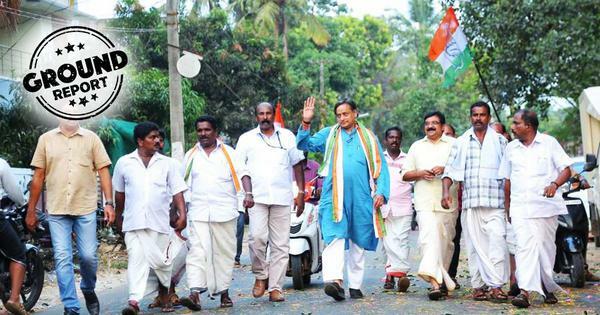 Among other interventions, the ministry suggested the use of traditional food, and minor millets in the food basket. “In tribal areas in Maharashtra there is a huge problem of zinc and iron deficiency. We are trying to multiply the seeds and distribute it to the tribals so they can use it for consumption,” Mehtre explained. But factors such as competition from soybean and lack of marketing for sorghum to attract consumers have put a spanner in the works for this traditional grain to claw back into the food basket. “Sorghum is a traditional food in Maharashtra. But total sorghum area is replaced by soybean. The mono cropping of soybean is highly vulnerable to climate change, especially in India. We have convinced farmers to grow sorghum. They don’t get the price for sorghum. Earlier each farmer used to grow four to five acres of sorghum but now they are not ready to cultivate even one acre,” lamented Mehtre. High labour cost during harvest also discourages its production. 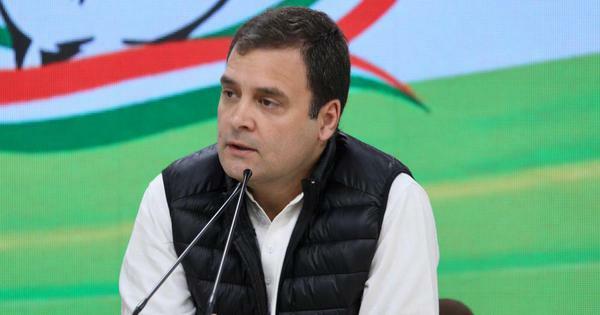 “Because of the public distribution system in villages, the landless labourers are getting their food grain at a very less cost and they are not ready to work in fields. The plant grows to a height of 1.5 metres to 2 metres and at the time of harvest getting labour is very difficult. This increases the cost of production whereas the price they get is not adequate to compensate their efforts,” Mehtre said. But Mehtre reckoned that with the Indian government actively promoting millets, things would slowly change. The government has declared 2018 as “National Year of Millets” and is working to bring in millets in the targeted public distribution system. “The government has also notified millets as ‘nutri-cereals’ for production, consumption and trade. If we can enhance sorghum marketing and consumption by the public in parallel with value addition to the grain, then we can bring about a change,” Mehtre said. As a plant breeder, Ashok Kumar also sees biofortification as an option to cope with elevated carbon dioxide levels that are reported to remove nutrients from crops. 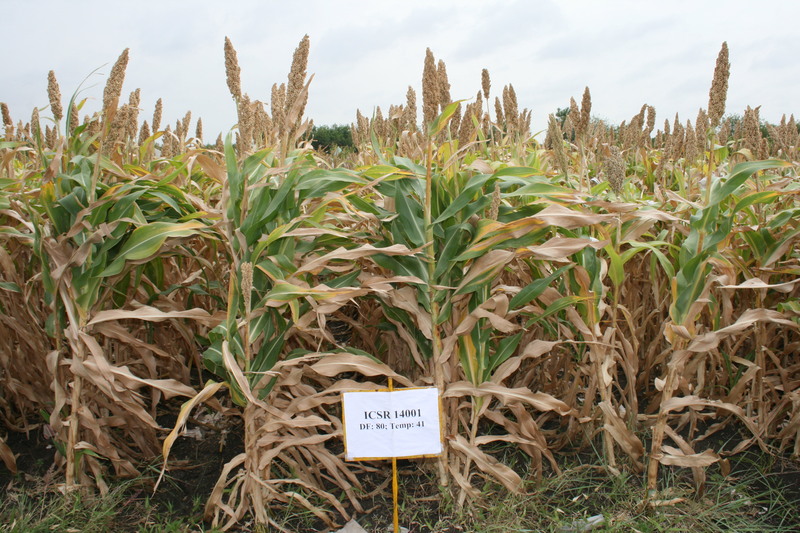 “There are number of studies in sorghum and other crops showing reduced nutrient concentration, particularly that of iron, zinc and protein with elevated atmospheric carbon dioxide concentration. This can potentially threaten human nutrition,” Ashok Kumar said. According to Samuel S. Myers, associated with the Harvard University Center for the Environment, staple food crops like rice and wheat are losing important human nutrients like zinc, iron, and protein in response to rising carbon dioxide levels. Myers studies the effects of climate change on nutrition value of crops. These changes are likely to push many millions of people into new risk of nutrient deficiency with large public health consequences. 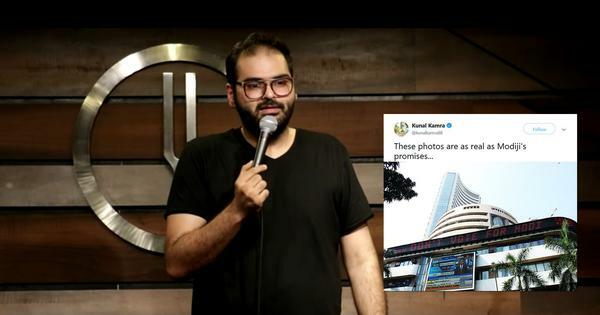 “And the studies indicate that India is one of the most vulnerable nations in the world to these effects. Sorghum is a C4 grain (a specific photosynthetic pathway) which makes it less vulnerable to these effects. 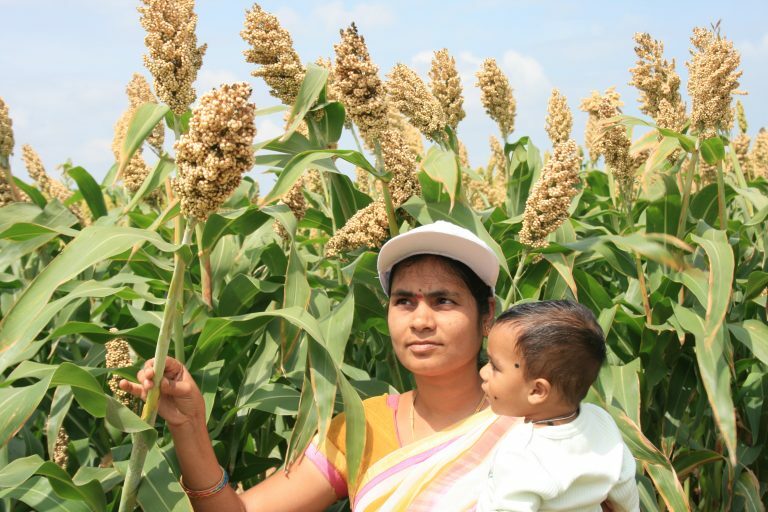 A variety of sorghum that has been biofortified in iron zinc and/or protein would be a helpful response to the risk of nutrient insufficiency posed by rising carbon dioxide,” Myers, told Mongabay-India. In addition, a recent study by International Institute for Applied Systems Analysis highlighted that a diet that moves away from white, polished rice to include coarse grains (such as sorghum) and wheat could help Indians tackle micronutrient deficiencies affordably and cut down greenhouse gas emissions associated with agriculture by up to 25 percent. Ashok Kumar recommends the seeds of the biofortified variety be changed every three to four years. “This is a variety and farmers can reuse the seeds unlike in hybrids where they have to buy the seeds every season. It is recommended to change the seed with farmers in every three to four years as it may get contaminated over time with outcrossing with cultivars grown by neighbouring farmers and yields may go down,” Ashok Kumar added.